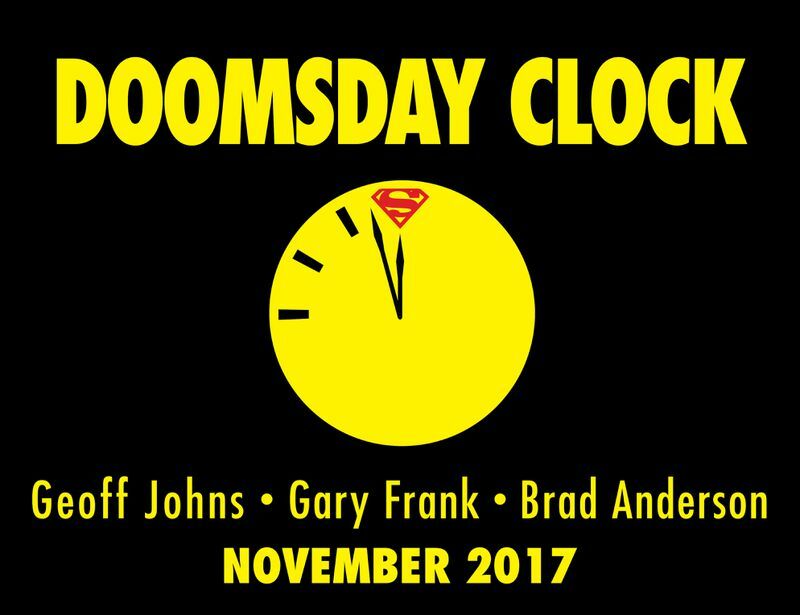 While Metal is deservedly getting a lot of focus now in November another high profile DC event will show up on shelves in the form of Doomsday Clock. This promises to further tie the events of Rebirth to that of the Watchmen Universe. This will be a 12 issue story so a lot of story can be told here. While the Button primarily focuses on Batman and Flash's investigation into Rebirth this story will shift its focus toward Super Man and to the man behind the curtain in Oz. Of course in DC when the word Doomsday shows up everyone knows to expect the big bad gray guy as well! You know who I am talking about, this means Doomsday is a cometh. So Superman vs Oz, vs Doctor Manhattan, vs Doomsday! Come on this is going to be awesome. DC has announced that Doomsday Clock will come with a Lenticular Cover (Which have been selling like hot cakes). This cover will feature the Watchman member Rorschach. The inclusion of Rorschach here is really interesting could Rorschach help Superman uncover Doctor Manhattan and how to beat the god like Manhattan. Just think about how fun and crazy a teamup between Doctor Manhattan and Superman could be. The tease of other Watchman characters showing up is also very real. “It's time. Last year, the DC Universe confronted the legacy of Watchmen in Rebirth the way Watchmen confronted the legacy of superhero comics three decades ago,” explains writer Geoff Johns.